Card design by 2013 Overall World Champion, Ryan Jones. 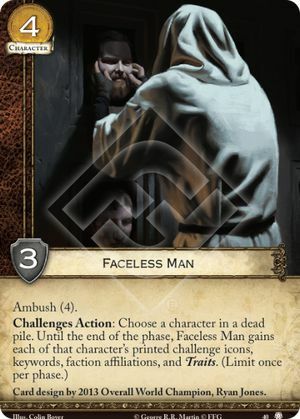 can Faceless Man gains the affiliations loyalty? or not? Since it does not say "until the end of phase". Does that mean, these "challenge icons, keywords, faction affiliations, and Traits" are stacked?